Bangalore/Bengaluru, the capital city of Karnataka has a population of about 8.42 million and a metropolitan population of about 8.52 million making it the third most populous city and the fifth most populous urban agglomeration in India. Bangalore had 9% people residing in the slums according to 2011 survey population of India. The City is progressing greatly in corporate and economic sectors and the urban population may be advancing in all healthcare and lifestyle facilities but it is not the same for the poor people living in slums, resettlements and in the far flung areas who remain caught in the webs of unchecked rising population, degrading health conditions, neglected education sector and unemployment. There are apparently 387 private hospitals in Bangalore with a few hundred Govt ones which is hardly a sufficient number and poor people hardly have access to these due to low incomes, no awareness and inadequate transport facilities. Taking this matter into account, Smile foundation has come up with the “2nd Smile on wheels” mission supported by Ericsson Global services to help support the underprivileged by providing them with basic healthcare facilities at their doorsteps through mobile hospitals. The poor people depending on daily wages and being mostly construction workers or labourers cannot afford to lose a day of work wages so they never prioritise going to hospitals even if they are sick. This is the main reason why SoW goes to them, to the places, where they dwell. And it was decided to make these people aware of health, hygiene, and sanitation and make them sensitive towards these issues. The missions of SoW includes informing people, educating them of basic requirements for healthy livelihood and making them well educated, sensitive and well aware so that they carry the practice forward and also educate others on their way up. This mission SoW also includes awareness programmes, pathological lab tests, OPDs and workshops. The Prevalent diseases addressed included Pain, COPD, Multiple boil/Skin infections, Fever, Anaemia etc. Other issues addressed included Health and Hygiene, ANC PNC care, Medicine, Immunization, Family Planning etc. 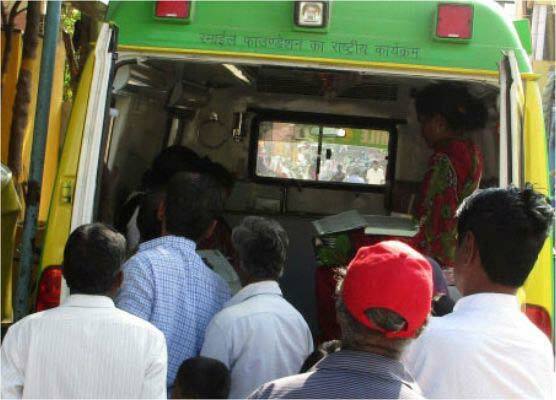 The Slums in which these mobile hospitals operated were Andrapur slum, Narayannappa slum, TC Palya, Krishna Murthy Nagar, Hosanagar, Munekollala huts etc. Slums reached included Andrapur slum, Narayannappa slum, TC Palya, Krishna Murthy Nagar, Hosanagar, Munekollala huts etc. Diseases addressed included Pain, COPD, Multiple boil/Skin infections, Fever, Anaemia etc. Patients needing extra or continuous medical care and extended facilities were shifted or referred to other nearest hospitals and medical centres. Lab tests were done for diseases like pain, COPD, weakness, anaemia, eye/ear infection, fever/URI, diarrhoea, gastritis/nausea/vomiting, constipation, scabies and malaria. Awareness Sessions on prevention and cure and also IECs including some innovative ideas, games etc to make people interested and aware about the programme were also held. 1322 PATHOLOGICAL TESTS WERE CONDUCTED SO FAR.